Fruit Tree Plantation - Error Dry Print 2004. Online shop for stamps, postal history covers, postal stationery. Topical covers and stamps. Bangladesh new issue information. Online auction. 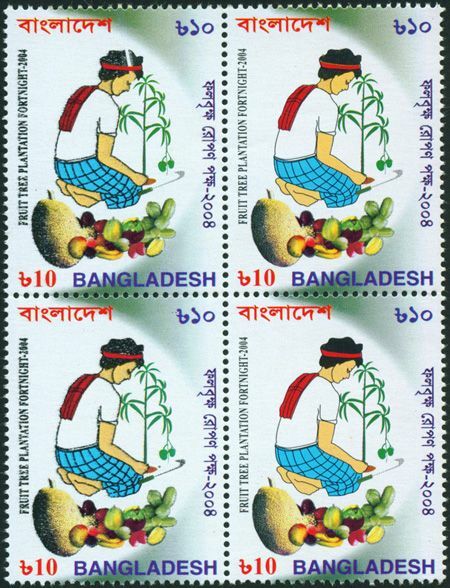 Bangladesh : Fruit Tree Plantation - Error Dry Print (Block of 4 Format) MNH 2004. Seetext in Black broken . Also broken image on head in left top stamps.